Los has released a visual for "OD," off of his "Becoming King." It was directed by John Colombo. Watch below. 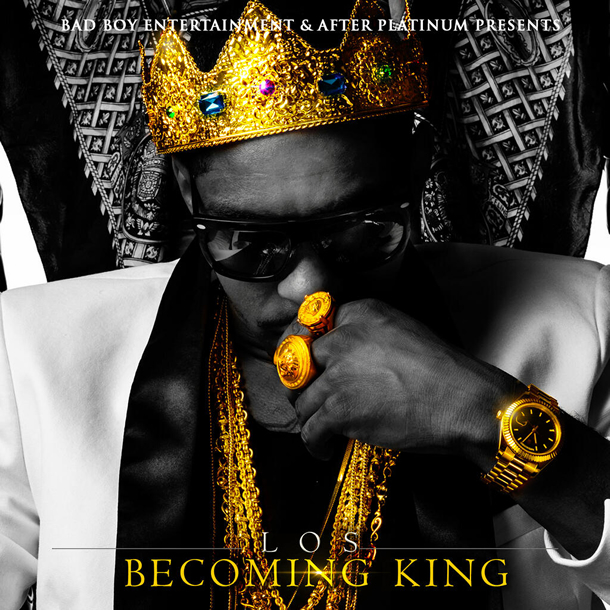 Los has released his new mixtape, "Becoming King," for free download on DatPiff. It features collaborations with Diddy, Cassie, Wiz Khalifa, Ludacris, Pusha T, Yo Gotti, Twista, Tank, Fantasia and more alongside production by 1500 or Nothin, Rob Holladay, Harry Fraud and Sonny Digital, among others. You can listen and check out the track listing below. Los has released "Disappointed," from his upcoming "Becoming King" mixtape. The song features Diddy and Ludacris. It was produced by Dot and Pro. Listen below and download. Los has released "Burn Slow," a new collaboration with Wiz Khalifa and Mickey Shiloh that was produced by Rob Holladay and 1500 or Nothin. It'll be on the rapper's new mixtape, "Becoming King," which will be out on April 25. Listen below and download. In interviews with AllHipHop.com and MTV, Los talked about what "Becoming King" means, revealed a bunch of collaborations and previewed "Pay Up" and "O.D." Watch below. Among the producers on the set are J. Oliver, Rob Holladay, Sonny Digital, Ryan and Smitty (who produced a song featuring Juicy J), Harry Fraud (featuring Pusha T and Yo Gotti) and Dot and Pro (featuring Diddy and Ludacris). Coinciding with the release of his new mixtape, "Becoming King," Los will hit the road later this month on the Becoming King Tour. He posted a list of 16 stops on Twitter. More cities may be added. On April 25, Los will release his new mixtape, "Becoming King." He has released the cover artwork. Check it out below. Los has announced the release date for his upcoming "Becoming King" mixtape. It'll be available on April 25 on DatPiff.com. Los has released the intro for his upcoming "Becoming King" mixtape. You can download it for free care of HotNewHipHop.